NASHVILLE – June 6, 2017 - With country music’s loudest night just one day away, CMT today announced the presenter list for the “2017 CMT Music Awards." The A-list roster features music industry giants and Hollywood heavy-hitters including Ashton Kutcher (“The Ranch”), Clare Bowen (“Nashville”), Danny Masterson (“The Ranch”), Dustin Lynch, Hoda Kotb (“Today Show”), Jada Pinkett Smith (“Girls Trip”), Johnny Galecki (“Big Bang Theory”), Josh Henderson (‘The Arrangement”), Katherine Heigl (“The Nut Job 2: Nutty by Nature”), Kathie Lee Gifford (“Today Show”), Rachel Bilson (“Nashville”), RaeLynn and Reba McEntire along with country music personalities Bobby Bones and CMT’s Cody Alan and Katie Cook. The “2017 CMT Music Awards” will air live from Nashville’s Music City Center this Wednesday, June 7 at 8:00 pm ET/PT. Hosted by “Nashville” star Charles Esten, country music’s highly-anticipated night will see breakout stars Kelsea Ballerini and Thomas Rhett going head-to-head against country music veteran Keith Urban for most nominations at the “2017 CMT Music Awards”. The top seven finalists for the night’s biggest award, the highly-coveted “Video of the Year,” will be revealed tomorrow, June 7th, with voting reopening on CMT.com. Music’s biggest stars will be on stage tomorrow night including Blake Shelton, Brett Eldredge, Luke Bryan, Miranda Lambert and Thomas Rhett. Collaborations include Jason Derulo and Luke Bryan, The Chainsmokers and Florida Georgia Line, Keith Urban and Carrie Underwood, Peter Frampton and Brothers Osborne, and Earth, Wind & Fire and Lady Antebellum. There will also be a celebration of American musician Gregg Allman’s life, featuring Jason Aldean, Darius Rucker, Lady Antebellum’s Charles Kelley and Derek Trucks. New acts Brett Young, Chris Lane, Jon Pardi, Lauren Alaina and Midland will perform on the Firestone Stage. 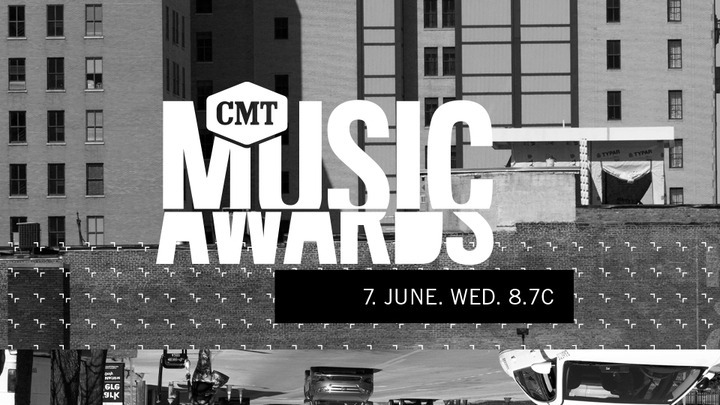 For the first time ever, the “CMT Music Awards” Red Carpet Special will stream live on Facebook at 7:00pm ET on Wednesday, June 7. Hosted by CMT’s Cody Alan and Katie Cook, the star-studded, action-packed pre-show will be based around fan questions. To submit a question for your favorite artist, log into CMT’s Facebook and hashtag #CMTawards.